Dogwood Crossing offers access to all public areas for our residents to enjoy including living rooms, dining room, courtyards, and sunrooms. Two outdoor sitting areas are available to take advantage of the beautiful mountain views. 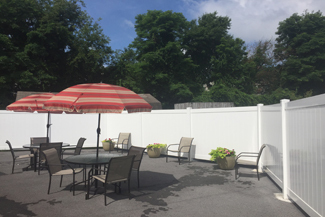 An area with a privacy fence is located on the western side of the facility. This area has shaded tables and plenty of seats. 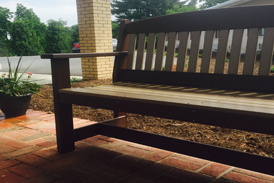 The front entrance of the facility has wooden benches. The great room has an open floor plan with sitting areas and a dining room. 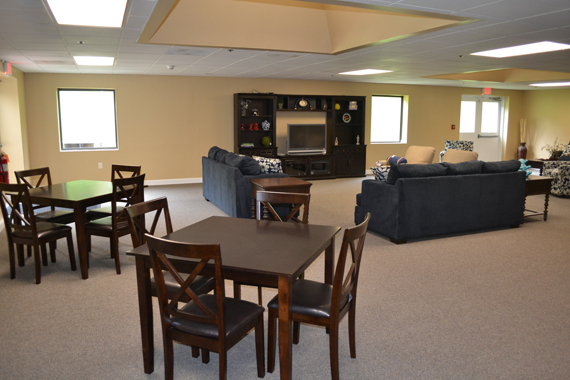 It is setup for residents to watch television and enjoy games and activities. The skylights make the great room warm and inviting. 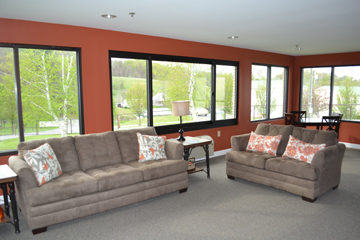 Dogwood Crossing has two sunrooms where residents can relax. The sunrooms are located at the end of the residents' halls.